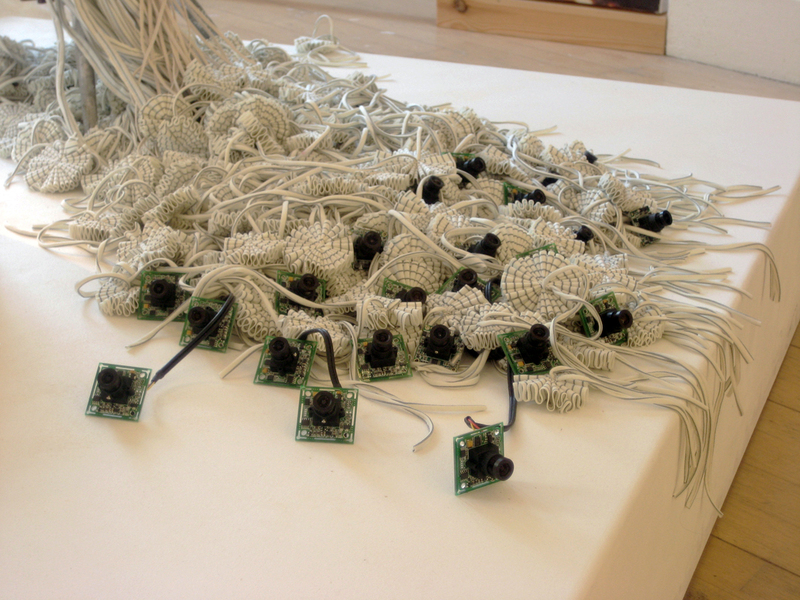 Electro-Social-Camouflage (ESC), 2008. 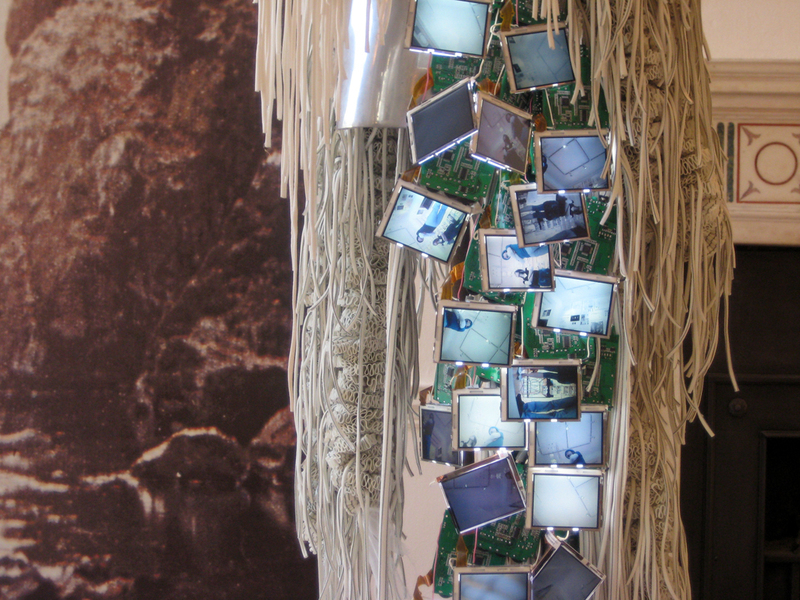 Conceived almost 40 years ago by Archigram’s co-founder David Greene, 'The Electric Aborigine' encompasses the notion of an individual consciously acting as a vessel for amalgamation of electronic and natural (non-electronic) environments in the seamless creation of a new environment. 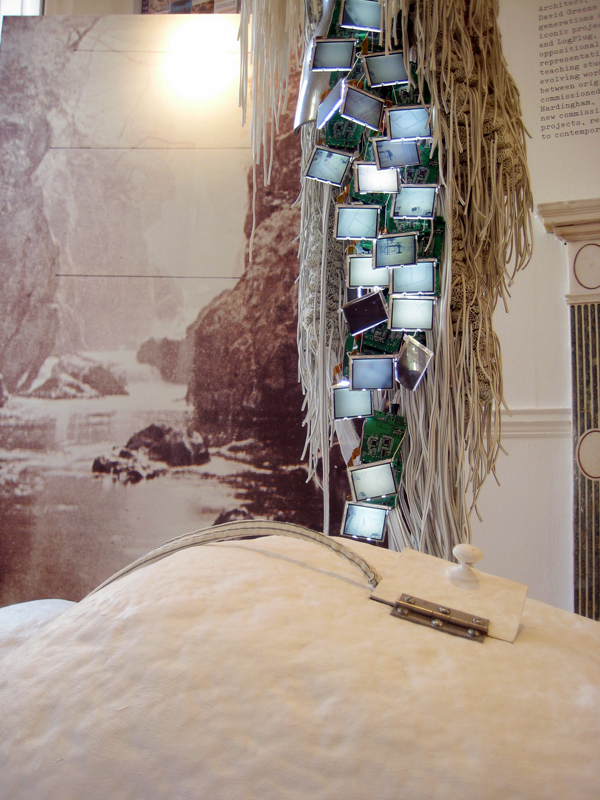 A product of audio visual piece 'The Worlds Last Hardware Event' (1967), in which we are challenged to imagine a world where man can wander, carrying his architecture in his pocket, (perhaps originally a pre-emption of mobile technology and its affiliation with the user), The Electronic Aborigine serves to integrate or dissolve an individual into any given environment. 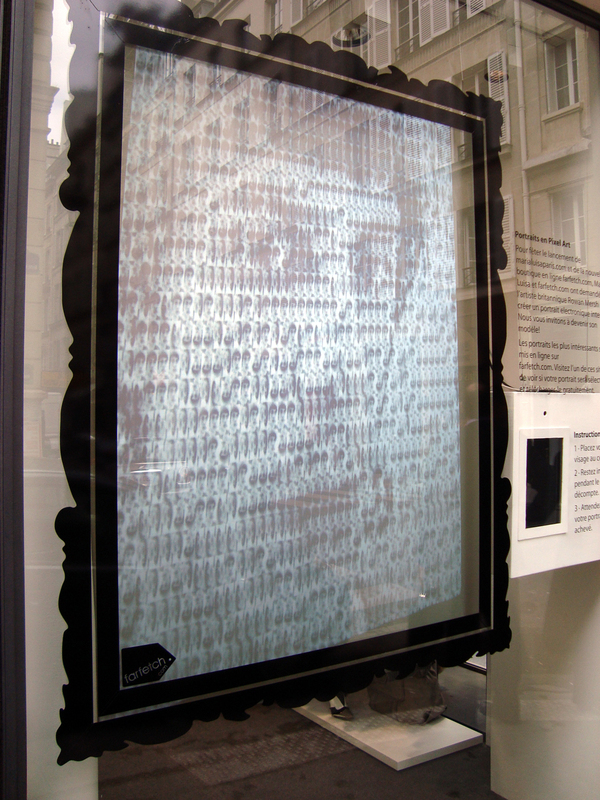 An interactive installation that invites the public to become the subject of unique digital Pop Art portraits. 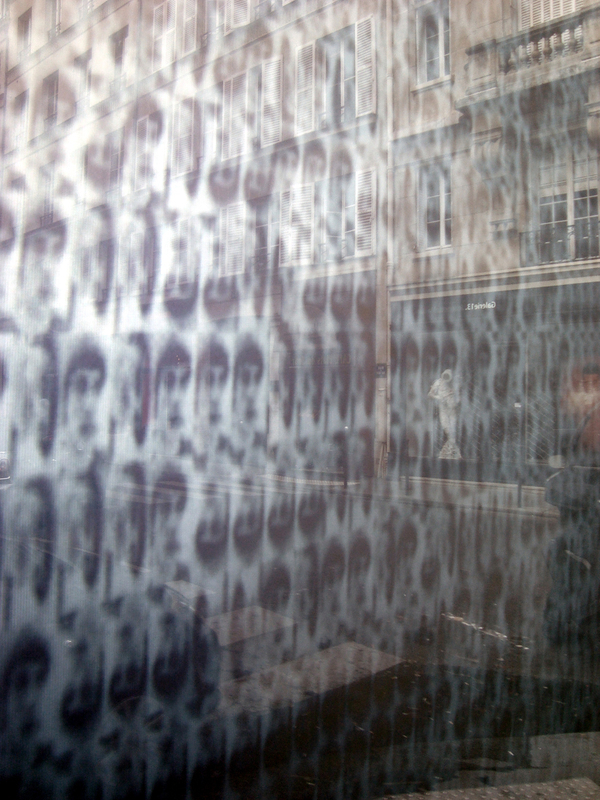 Using face recognition software a digital camera is triggered to capture the portrait of the participant when they are positioned within a marked area appearing on a monitor next to the canvas, (similar to the process within a public photo-booth). 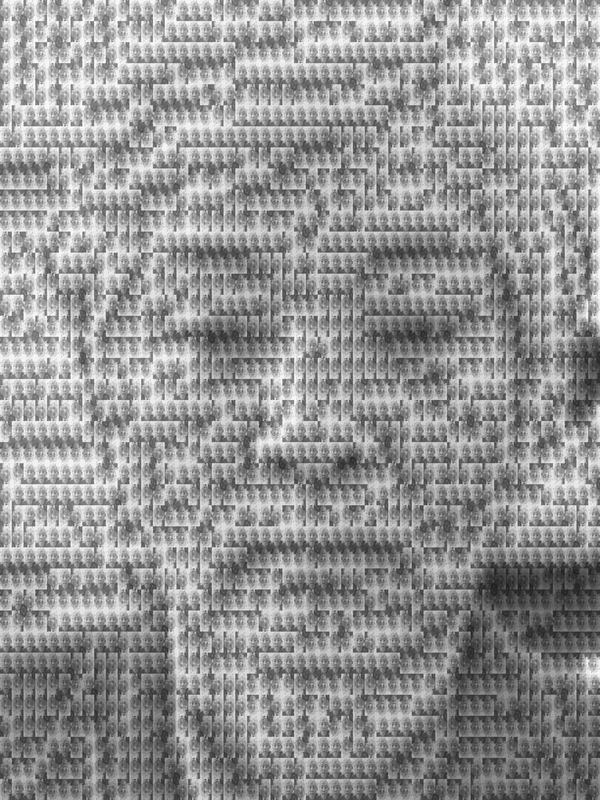 This portrait is run through self-developed software that generates a large scale Pop Art style portrait constructed from thousands of smaller versions of the original portrait. 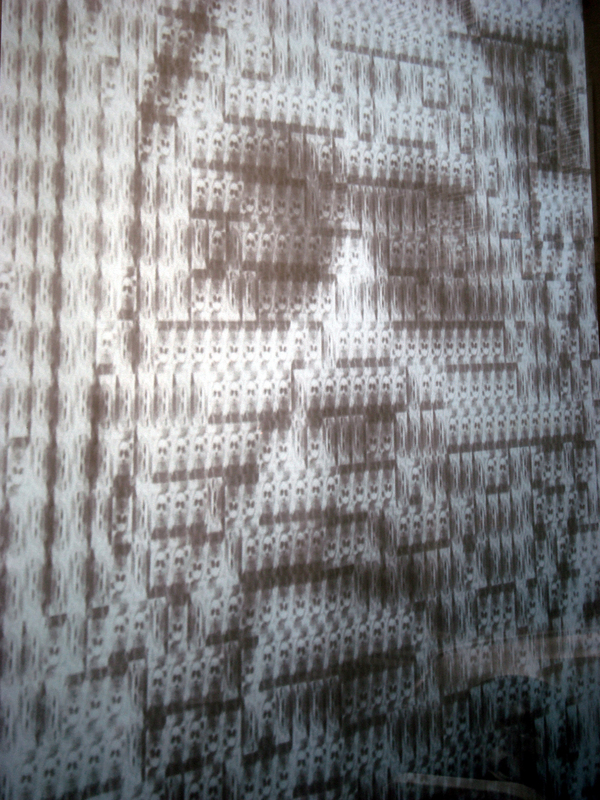 This Pixel Portrait is then projected on a large framed canvas until the next participant is ready to engage with the project. 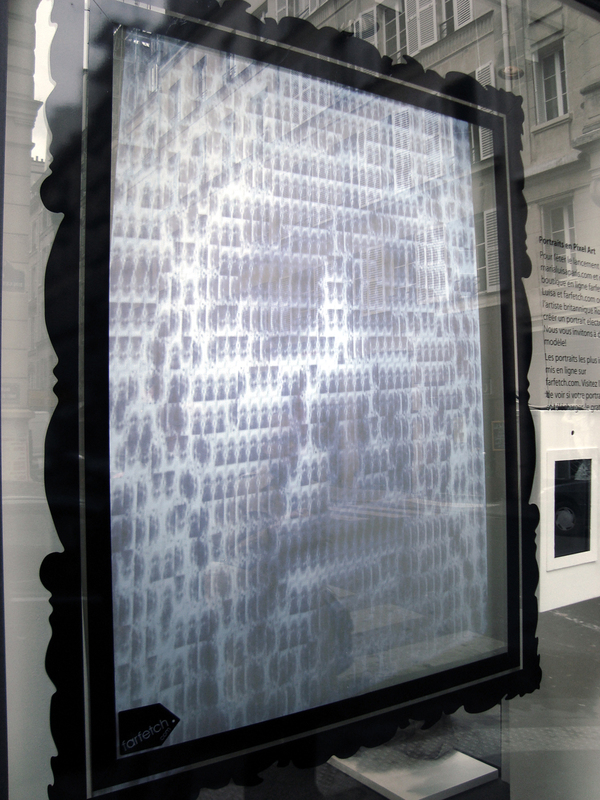 The canvas was created from self-enhance rear-projection fabric, enabling the projected portrait to be viewed morning or night. 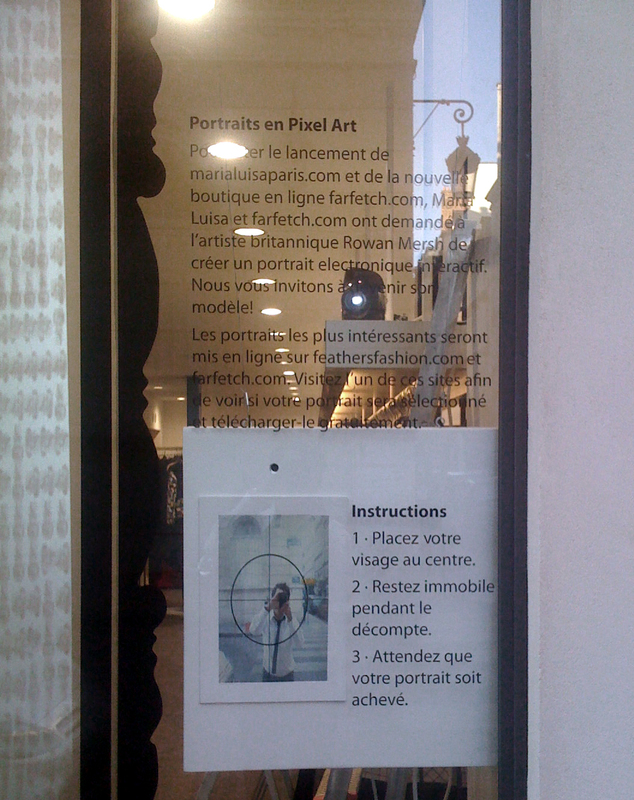 The process from portrait capture to Pixel Portrait display takes a matter of seconds. 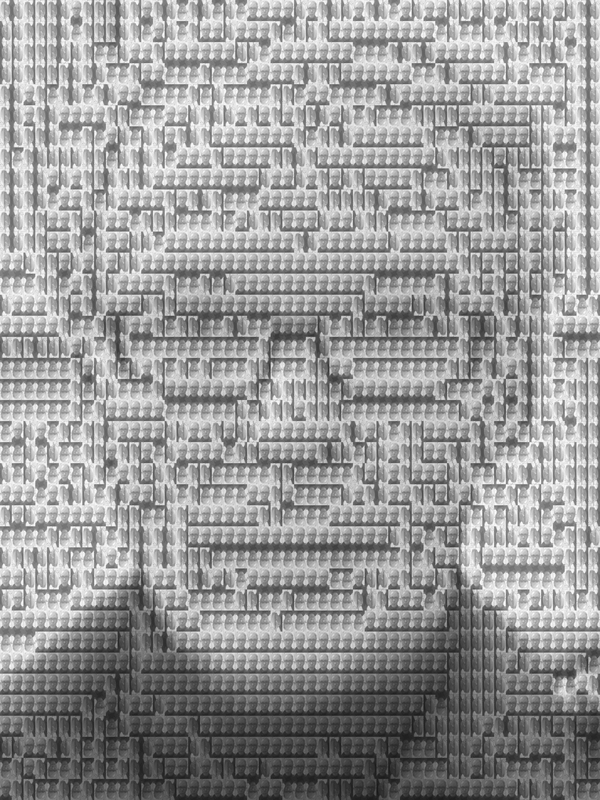 On generation each unique Pixel Portrait was also uploaded live to an FTS for the participant to download at their leisure. 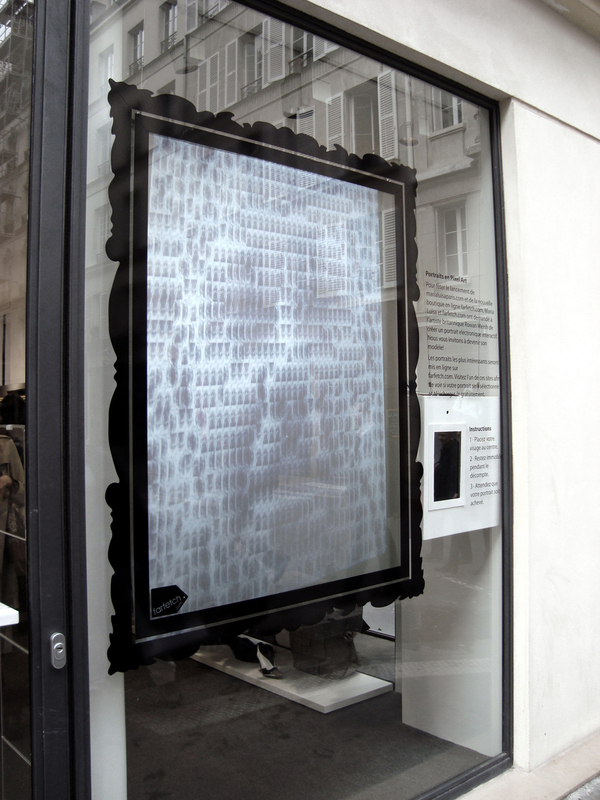 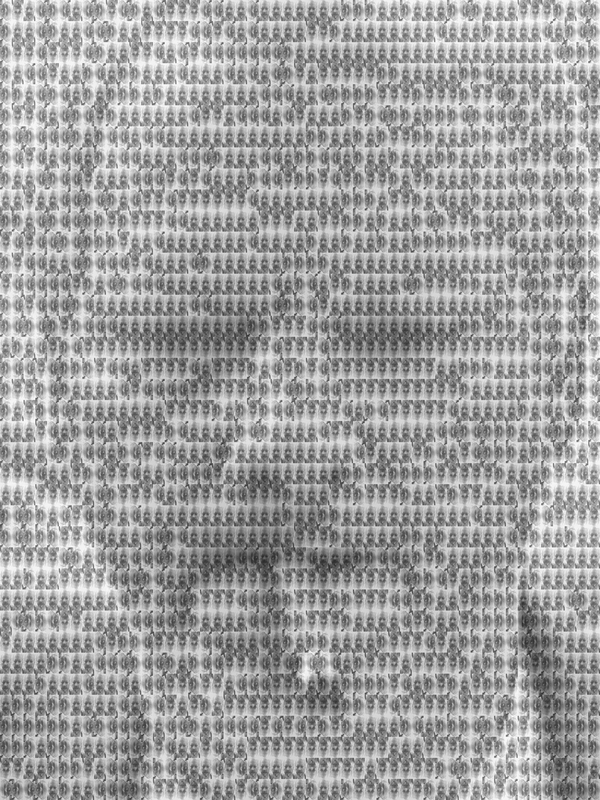 This self-generating project ran live 24 hours a day for a 10 day period at the beginning of October 2008, in Maria Lusia, Paris, during which time over 1000 unique Pixel Portraits were generated. 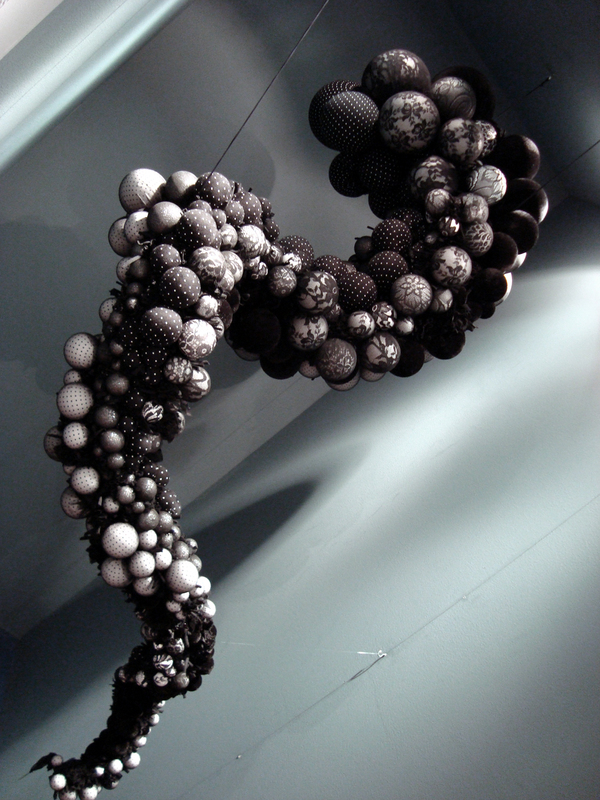 Untitled 08, 2008. 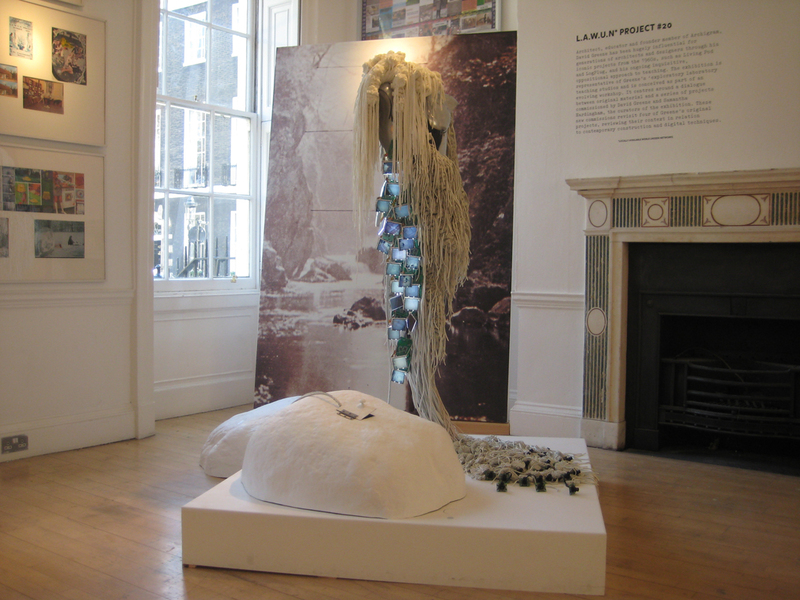 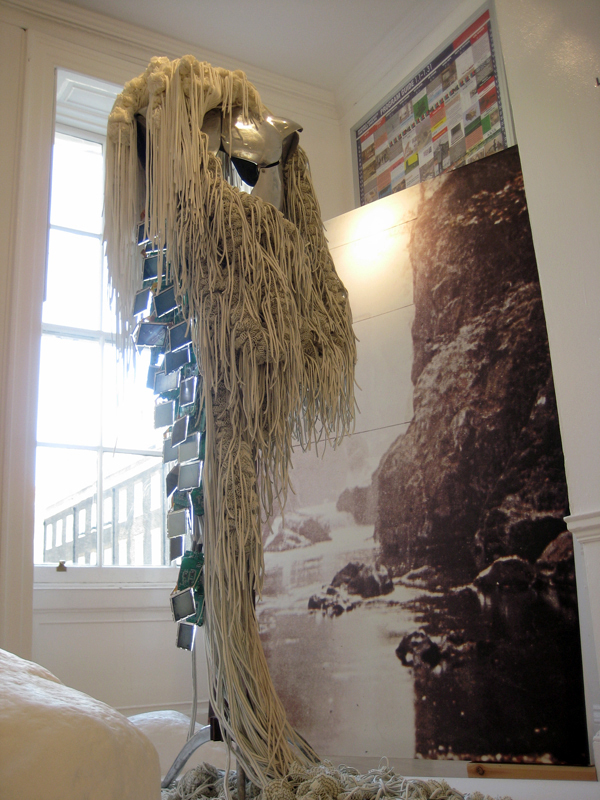 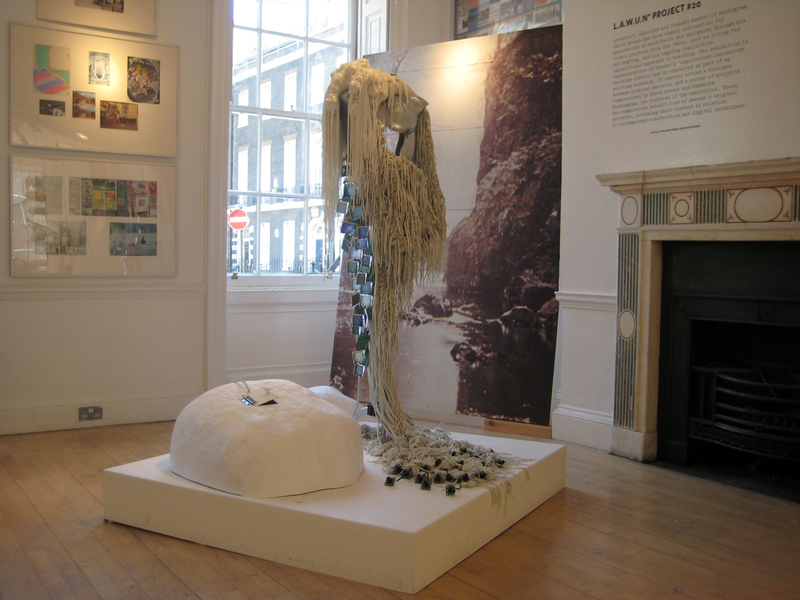 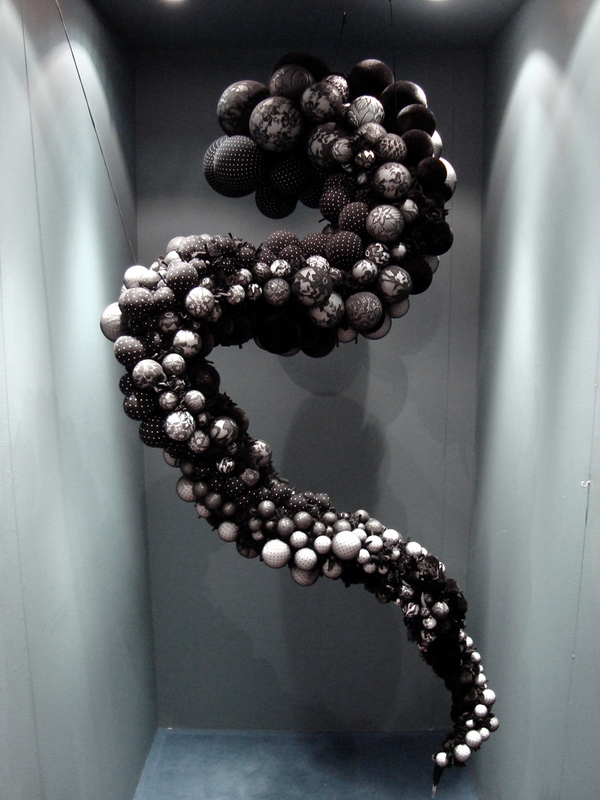 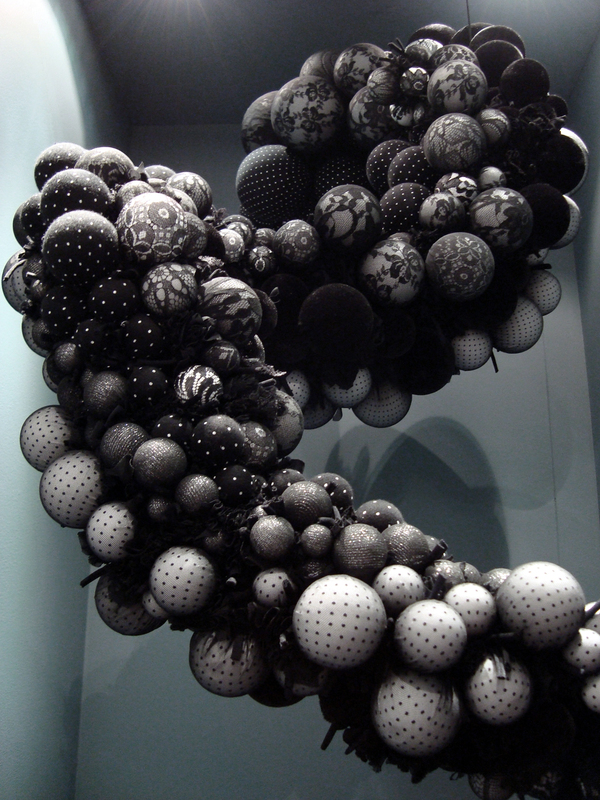 Abstract Fabric Sculpture commissioned by The Crafts Council for Somerset House, London. 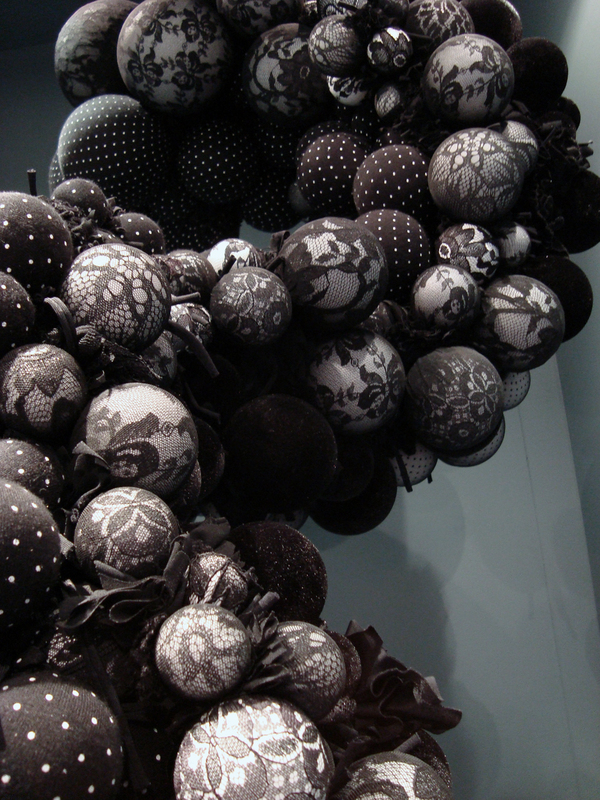 An exploration into the utilization of a variety of stretch fabric combinations.